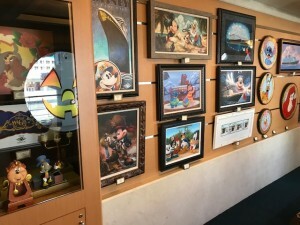 Disney Magic Ship Tour- Family Spots | What's Up With The Mouse? So, where can families go together to have a little fun together? On deck 5, aft yo will find The Buena Vista Theater. 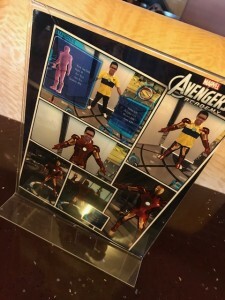 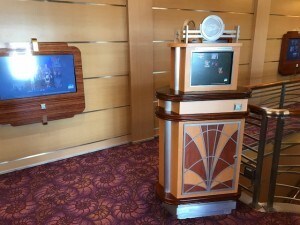 Here is where you will find all first run movies, included, shown during your cruise vacation. 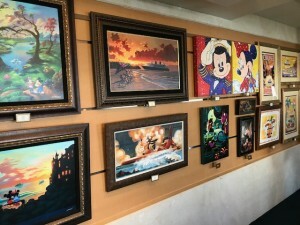 On deck 4 mid ship you will find the Vista Gallery, for Art lovers, and Shutters- where you will find all of your pictures that were taken during your cruise vacation. 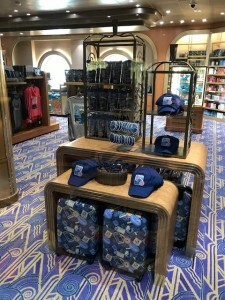 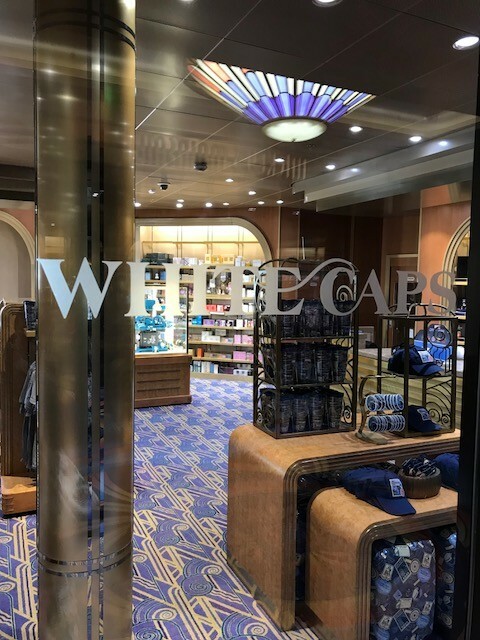 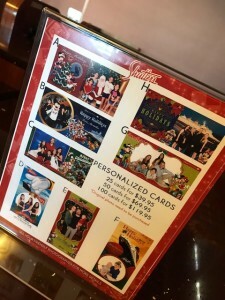 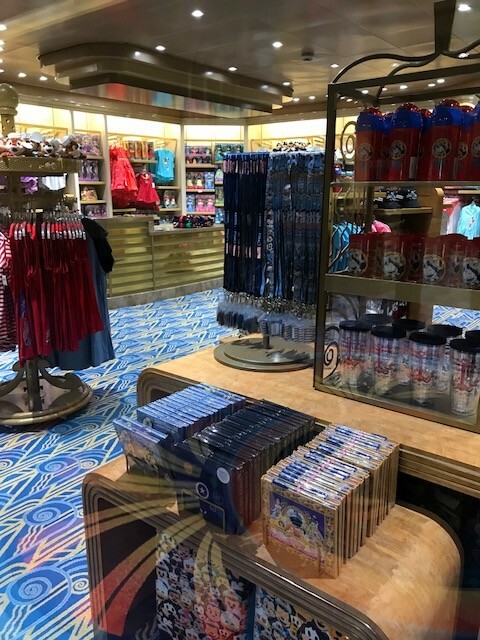 Also on deck 4 you can find great shopping onboard at Mickey’s Main Sail and Whitecaps. 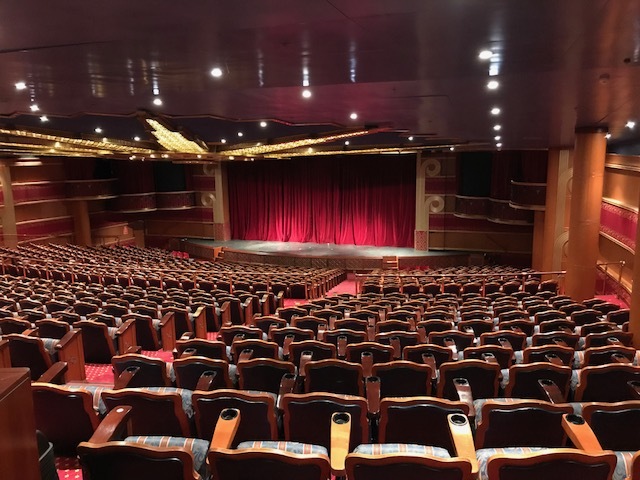 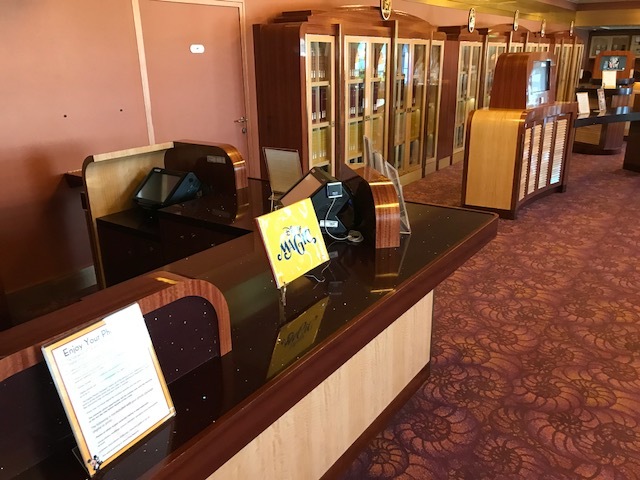 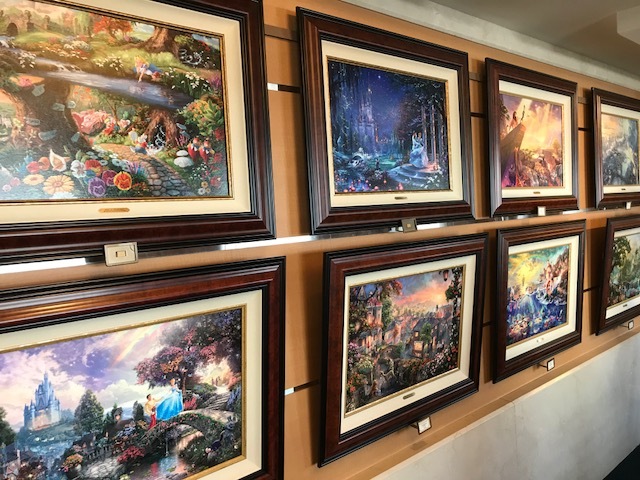 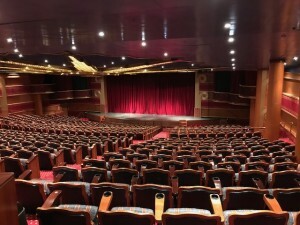 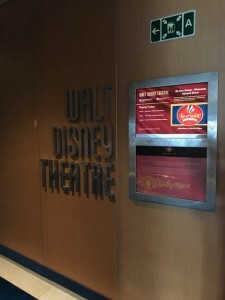 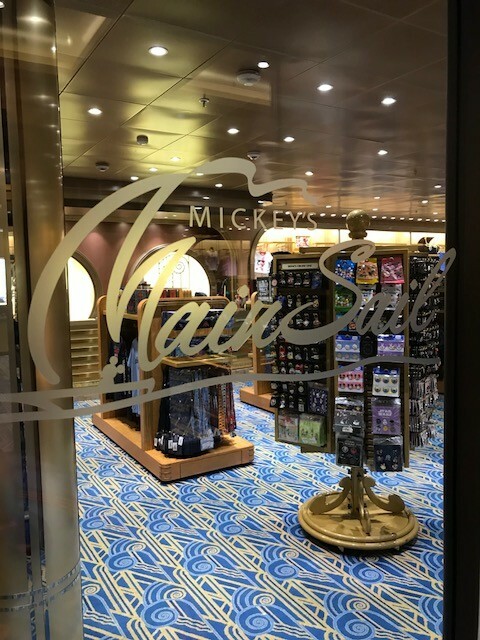 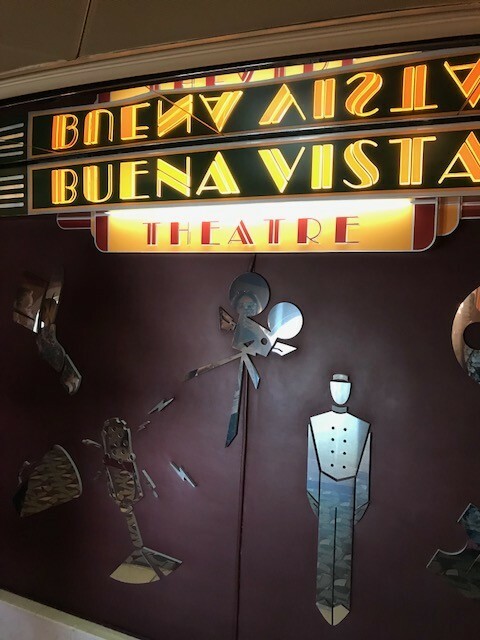 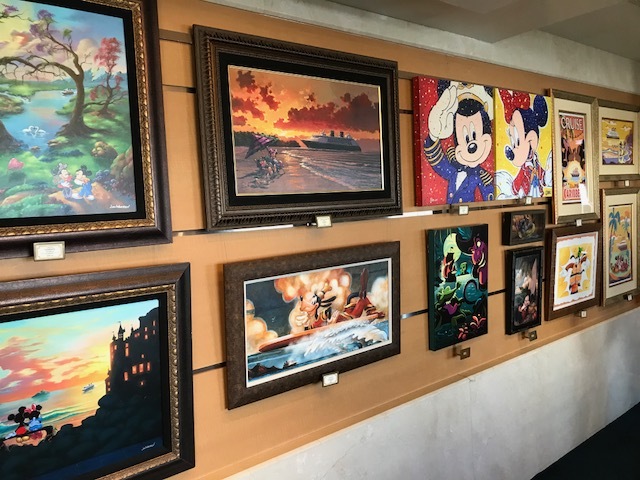 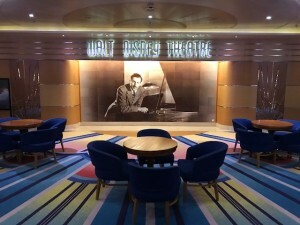 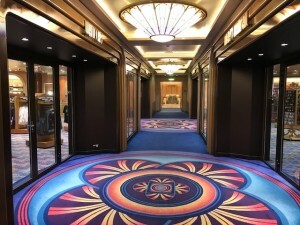 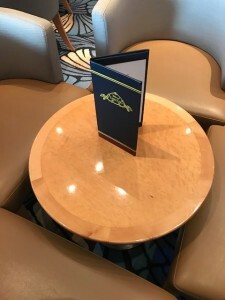 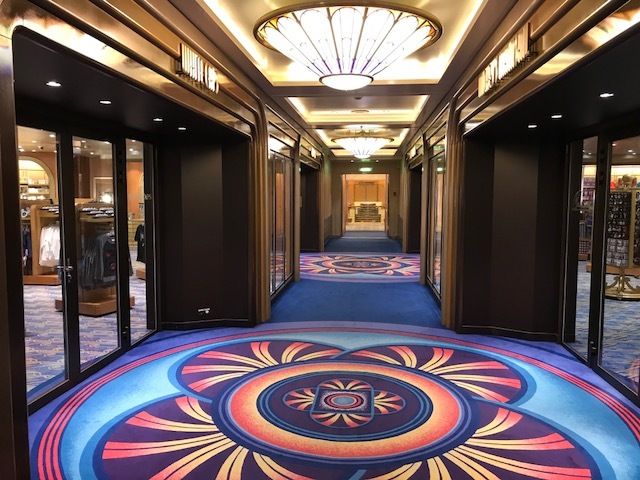 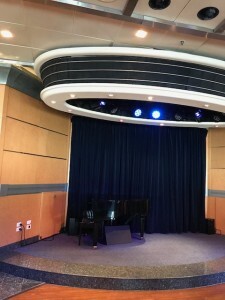 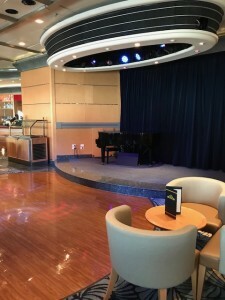 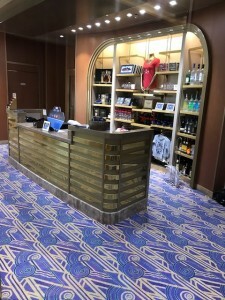 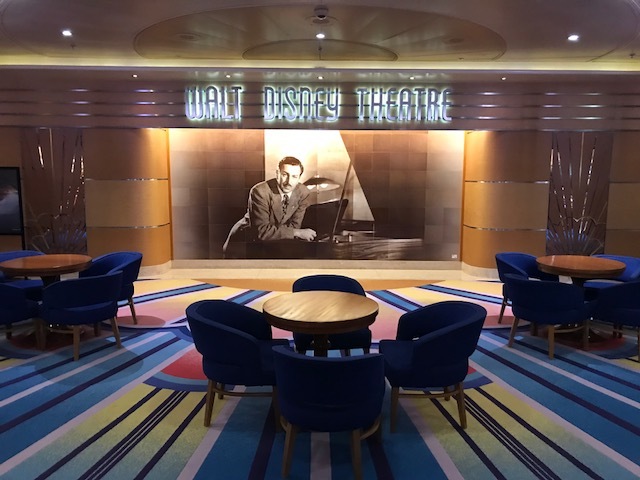 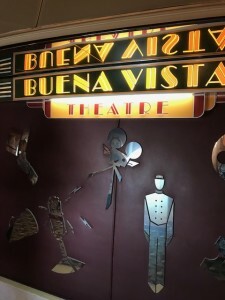 A bit further down deck 4, forward, you will find The Walt Disney Theater where you can see Broadway Style shows and Specialty Entertainment during your cruise vacation. 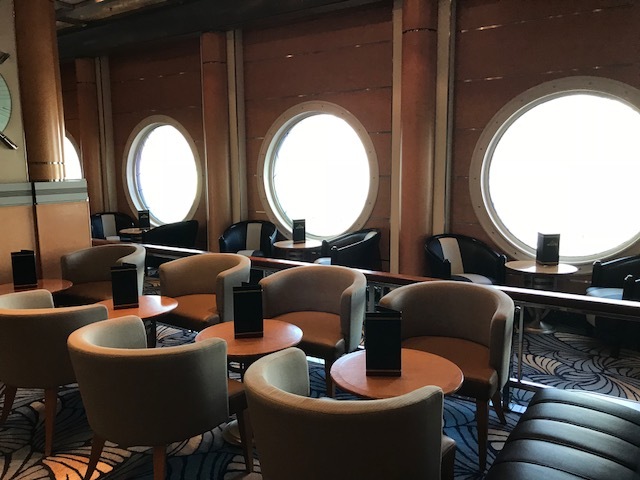 The Promenade Lounge on deck 3 is where you will find family activities, great appetizers and drinks, and family friendly entertainment. 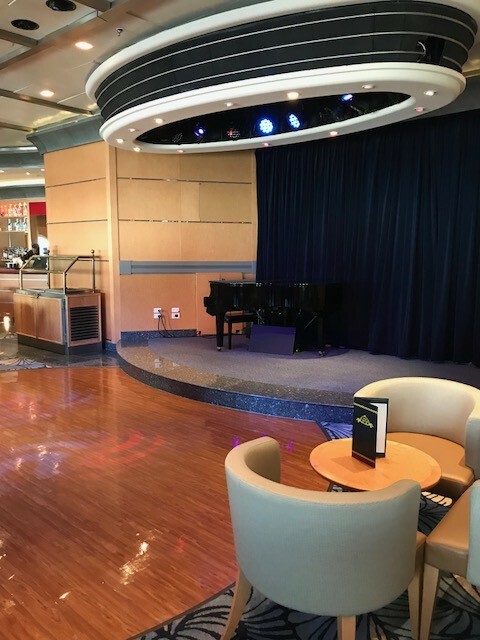 D Lounge is found on deck 4, mid ship- where families can find fun, games, and all sorts of entertainment during their cruise vacation. Unfortunately, we didn’t get to see this space during our tour.